Born into a very wealthy Japanese Family born in 1999. David Akenda (Razor) was always of two cultures. With his mother being an American, and his father a Japanese business man in one of the most popular technology companies. He grew up borderline ostracized from Japanese culture. With his Father's company producing electronic components for computers around the world, David Akenda had little in the way for needs or wants. When you are the son of a wealthy businessman, it is unavoidable that at times you could be in danger for your life, as a result David Akenda was trained in various Martial arts ranging from Karate, Judo, and Jujitsu. starting at roughly 5-7, but never really focused on them. to make himself a professional. When the Spectre's curse lifted in 2010, for David very little changed, except that now he could manifest his mutant powers. Although they would not manifest until he was 13. One day at home while helping prepare a meal for his family a group of kidnappers had busted in to the family home intent on kidnapping David and his mother. David at this point fighting and unable to protect his mother when she was hit over the back of the head he manifested his mutant powers, producing from his fingers a number of fine light wires that suddenly wrapped around the weapon of the Kidnappers and then sudden constricted tightly slicing katana sword into fine metal shards. When the Kidnappers pressed themselves, to David at least, he passed out. David had in fact used his mutant powers to kill the kidnappers leaving a fairly bloody mess of slice body parts. David would subconsciously suppress this event as too traumatic to remember. Word reached his father who rushed home and using his money his father covered the event up as a kidnapping attempt gone wrong. Horribly wrong. Launching a private Investigation of the event, it was discovered that David could manifest unusual powers. David found out he could produce a set of Psychic wires from his fingers, with the ability to grab hold of and ensnare objects with them or slice through them leaving a mirror like finish. Unlike some fathers, David's father was not shamed, nor horrified that his son was gifted (a mutant) but still for his family's protection wanted to keep it secret. Thanks to his training in the Martial arts, David quickly mastered the basics, and with the aid of a private Psychic trainer (Japan actually has schools dedicated to the study of ESP and psychic powers), Mastered his abilities learning the full effects, abilities, and limitations of his powers. David being trained in the martial arts, knows the value of discretion, and seldom uses his powers or abilities. David is very much a thrill seeker, growing up sheltered and taught moderation all his life. David has finally reached a point where he wants to experience life to it's fullest. As such he enjoys going to theme parks, parties, raves. He enjoys fast boats, cars, and faster planes. Despite his desire to seek thrills, he is strictly health oriented. IE no Drugs, no loose women, no Alcohol nothing that would run the risk of his health. David is very much a petty criminal, while he has no official record, he does enjoy pilfering items. His idea of fun might be to put on his outfit, sneak into a major corporation. Then steal the Coffee cup from the desk of the CEO. His desk pins. It's not to be malicious, or cruel. It's just he has desire to push his limits to their peek. David has a severe abhorrence to injuring people or hurting them. More so with his powers, in fact he might go out of his way to protect someone if he can do it with out being detected. But David is FAR from what he considers a hero. While the thrill of being a Super Hero has it's appeal, he has no desire to earn enemies. He has seen how in Japan what happens when you make enemies. He has no objection to helping people in need, or danger. But he doesn't consider himself a hero as well. Despite his extreme aversion to hurting people, this doesn't mean he won't hurt someone if it is the only viable option for him. Boredom, pure and simple, David Akenda is motivated by boredom. For the most part anything he needs is taken care of, anything he wants is mostly within reach. Money is not an issue for him. He does what he does because he is bored with his old life and interested to see what his choices will lead him to doing in the future. will he end up in jail, become a super villain, or a super hero. He just wants to get out there and have fun. Experience the thrill and adventure life has to have, see what challenges he will come upon. David Akenda is a Psychic who's powers manifest themselves in the form of neigh unbreakable mono-filament wires that project from the tips of his fingers (in a way that is similar to Psylocke's psi-blades). On average David can produce up to ten strands per finger, up to fifty feet in length. Often appearing as gossamer strands around him shimmering and glowing with his mental energy David has ultra fine control over these wires to the point that he can spin them around him producing a shield, use them to bind a target or object up. Make a semi solid surface that can serve as a barrier. But the most devastating effect that he can produce is when he chooses to have them turn into a cutting edge. The mono-filliments cleave clean through molecular bonds producing a clean mirror like finish when he cuts through materials like Iron, steel, even Titanium. Any material harder than titanium requires him to saw through with a back and forth or similar action. Naturally there are some materials, Adamantium, vibranium, and similar super alloys he can't cut through. However David has one of two choices. He can choose to have his wires be cutting surfaces, or unable to cut anything. He can not under no circumstances, mix the two. IE Hold one enemy in one hand's wires while slashing around with the other cutting things apart. Or hold an enemy in his wires and slice his weapons apart. The wires must cut, or they must be blunt. David's control over the wires is so fine he can move them around like snakes. Curling and moving even tying themselves around an object without moving. Such as sliding into a pair of handcuffs and slicing apart the internal locks to slide out. slipping through a door frame to slice a deadbolt, or pulling the latch open. Moving his wires in this fashion is difficult, and this requires his absolute total concentration. Leaving him extremely prone. David normally uses them like whips and grappling things, and swinging tools. Yes, He can do the Spider-man man swing to a limited degree. While the wires are unbreakable, David's mind and body are not. The strength he can exert on the wires is limited to his own body strength. Which is about the ability to bench his own weight. 190LBS This is baring the fact that he can entangle enemies looping his wires around them multiple times, or looping them around things to get added strength such as looping the wires between two lamp posts several times forming a net in front of him to entangle someone. Then stringing them up as they then must fight against the cables but also the posts. Although those with super strength, this may be a mild inconvenience. Being able to tug on the unbreakable wires and break the posts. The speed at which David can manipulate his wires is the speed of thought. And his thoughts are often reflexive due to his mental training. As for his barriers and deflection he can form screens in front of him, to the sides to form a solid barrier he can use to deflect bullets. Normally at a sharp angle with a razor sharp edge so the bullet shreds like being put through a cheese grater. David's father in Japan owns and runs one of the most profitable electronic companies around. As a result David has no need for money and often gets a stipend each month. He could easily pull on a hundred thousand (U.S.) dollars a month with out trouble. When David began committing petty crimes for amusement. He did not do so without a disguise. 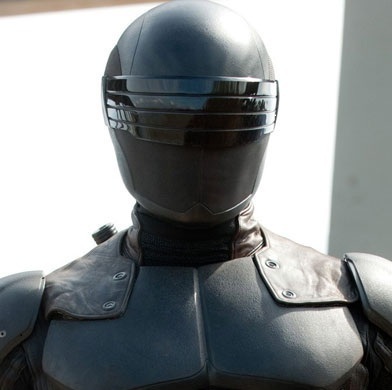 While in Japan he assembled a suit of ninja armor with a fairly Sci-fi look to it, flat black, armored panels. Able to withstand small caliber gunfire, up to a .357 mangum. It can easily take sword slashes, and impacts from things like punches and gloves. To a point even super human blows providing they are not extreme IE A full on punch from say Spider-Man or similar. It is fire proof, has armored soles on the boot. And has all the classic ninja' gimmicks. Caltrops, throwing stars, smoke bombs, etc that one comes to expect from movie ninja. If it has been seen in a Ninja movie, chances are he has easy access to it. Having ordered a Custom Black Katana sword. The Black Dragon is a solid Titanium blade, that has been sharpened to an extreme level. It has been sharpened with his Razor wires and holds one of the sharpest blade edges around. A mono-molecular edge. As a result the blade requires very little force to cut through many materials. The blade barely weighs 3 pounds, and is 42 inches long including the handle. David uses the blade in situations were his wires are not needed, and used mostly to incapacitate an enemy such as cutting a hamstring. Bruce Wayne has Wayne Manor, Tony Stark has Stark Tower. David Akenda leases a number of properties out that he can have as a home, or a safe house. Or a place to hang out at when he has time away from Xavier's. He also owns a couple high speed, high performance cars, and a custom ninja motorcycle that has been improved to beyond street legal abilities, very quiet, very fast. His main lease is a Penthouse in Upper New York City that he has leased for the better part of two years. Inside of it he has some fairly impressive equipment, state of the art computers, Flat screen TVs, All the latest (and some retro) gamming systems. His visit to Xavier's did not go as he had expected. In that his father had informed the Faculty that he would not only be making a donation, but also requesting that his son be enrolled as a student. His father also informed the headmaster, and headmistress of his Ne'er-Do-well activities. So David Akenda does have to attend classes if he hopes to keep his monthly allowance. When you are in Japan, and when you are wealthy. You can have various elements come up to cause trouble. From the Yakuza or other unsavory elements attempting to control you. As such you learn to defend yourself. From a young age, David was trained in the Martial arts, Karate, Judo, and Jujitsu. Swordsmanship (katana). he's proficient in them street thugs and most normal people are of little threat to him. But most street level super heroes can/will give him a serious run for his money, more so considering they rely heavily on their skill and have actual hard won experience, for the time being. In terms of skill level with Batman at a 9.5 or 10, David Akenda would measure a 4 or 5. The black masked warrior sneaking into the enemy castle to assassinate the leader of a rival clan and vanishing without a trace. The Black outfits, most of it is fantasy. David learned that Ninja don't use such fancy things to them. Ninja conceal themselves in plain sight. This is done by looking like they belong. A gardener tending the garden, a farmer working the field. Travelers on the road. A ninja's stealth skills revolve around them looking normal and natural for what they are doing. As a result David has learned to watch body language around him for an area and quickly mimic it to the point where he just blends into the background and vanishes. Turning a corner out of sight then pulling your coat off, turning it inside out with another wearable surface on it. When your father is head of a major electronic's company, producing computer equipment. You learn how to build computers and program them. As such he can debug major systems and hack with some reasonable skill. He could easily hack most everyday company's computer systems. Anything short of a national bank or police department is of little challenge to him. Schooled in business. While he is in the states he does represent his Father's company and his father does call on him to help assist with over seas deals. He can handle the introductions and some negotiation, while allowing his father to come in, secure and close the deals. Because of the demands of his powers, David has had some serious mental training. As a result he can shield his surface thoughts from casual inspection by telepaths, but a focused probe would alert him that someone is attempting to read his mind, and he can shield his thoughts. but has no real defenses to prevent an invader from forcing their way into his mind. Reasonable well trained in stealth but no master. Most normal people he can slip past. Those with enhanced/fully trained senses will more than likely detect him somehow. David is very fluent in four languages. Japanese, English, Chinese, Korean. David Akenda's Wires are composed of psychic energy made physical. As a result he has an unusual weakness to other psionics. If his wires come in direct physical contact with their skins (only touching their skin, their clothes provide enough shielding). David Akenda gets a painful feedback pulse through his wires. This is akin to someone suddenly slugging him in the head with their fist. Stronger the Psychic, the more intense the result. Someone like Pyro would be like punched in the head, while someone on the level of Jean Grey would be like someone taking a sledge hammer and performing a baseball bat swing to his head. Touching a Psychic on the order of Martian Manhunter, or Charles Xavier might kill him. It would also leave him catatonic. The person he is touching with his wires feels little more than a tingle when his wires touch them on the bare skin, but it's enough to let them know what happened. This applies only to TRUE Psions, like Jean Grey. Someone like Spider-Man who's powers are not Psionic based such as his precognitive abilities that warn him of danger, won't trigger this. This applies only to his wires. He could touch a psionic with his hands or kiss them, and no harm would come. BUT, if he does touch a psychic like this, they are instantly aware he has Psychic powers. Not the nature of function, but they are aware of it. And he in turn may be aware of their nature. OOC consent required for David to know the other person is a Psionic, other player characters who touch David are automatically aware. This requires physical contact, A psychic could knock his wires around with telekinetic attacks, or himself, and no harm would come. David has a total aversion to harming someone directly with his wires. His wires are a form of physical psionic energy. As such when he cuts someone, once his wires comes into contact with their nerves, and there is no way to prevent it. He instantly feels the pain caused by his wires as his own. Every cut, every scrape, every slash. The pain feels exactly as his own. This also produces nightmares, bringing forth memories of when he killed the would be kidnappers of him and his mother. An incident that traumatized him. The nightmares can last for days or weeks even. "This applies only to those with Nervous systems, Robots, and most forms of Undead monsters don't follow this. Those who don't feel pain like the normal person. And when he figures out they are Undead or Robots. Very little would hold back his destruction power." By far the most dangerous part is if he were to accidentally injure a Psychic with his cutting wires. Coming into direct contact with their nerves and thus nervous system would produce a feedback pulse that would render him catatonic even from a low level Psion. In Japan, David's father has enemies. He could fall prey to them here in the states. For now these are corporate enemies and groups like the Japanese Mafia. Who would love getting their hands on a share of those profits. Or schematics for a new type of micro chip or such.